The 21st Annual International Mars Society Convention, the organization’s primary public forum on human Mars exploration, will be convened August 23-26, 2018 at the picturesque Pasadena Convention Center in southern California. The Mars Society convention brings together leading scientists, engineers, aerospace industry representatives, government policymakers and journalists to talk about the latest scientific discoveries, technological advances and political-economic developments that could help pave the way for a human mission to the Red Planet. This Saturday (June 30th, 5:00 pm MDT) marks a dual deadline related to public involvement in the International Mars Society Convention. Presentations for the Mars Society convention are invited dealing with all matters (science, engineering, politics, economics, public policy, etc.) associated with the exploration and settlement of the planet Mars. Abstracts of no more than 300 words should be submitted to the Mars Society via email (abstracts@marssociety.org) no later than June 30th. 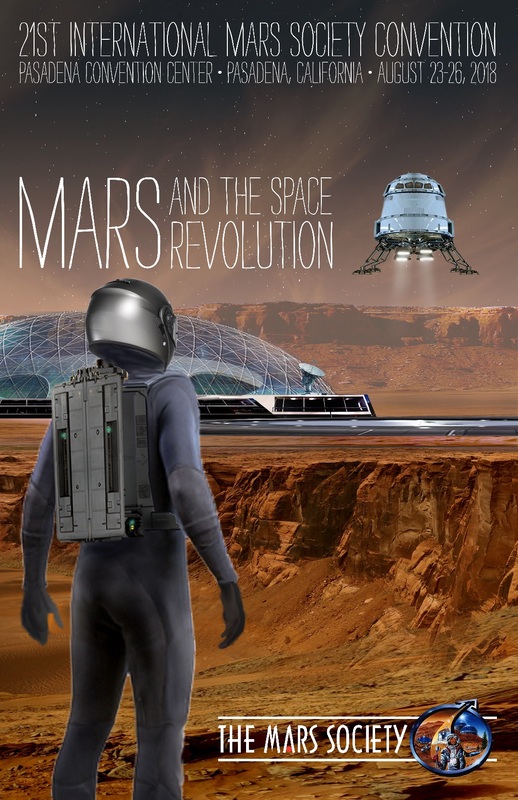 Online registration for the Mars Society convention began several months ago, with the organization offering reduced-price tickets for early comers. This includes entrance to the four-day conference and participation in the Saturday evening banquet. Ticket rates will be adjusted following the June 30th deadline, so please consider registering in the next few days. Additional details about the Mars Society convention, including the tentative program schedule and the list of plenary speakers, are expected to be posted on the Mars Society web site sometime next week.